BFC Australia started out with 3 rd party container unpacking in Sydney back in 1999. With our continued growth and building reputation, we moved into the Brisbane container market in 2002. With the success in Brisbane, BFC Australia quickly expanded into 3 rd party warehouse management, offering warehousing management and solutions for Brisbane based businesses. 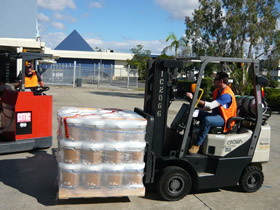 BFC Australia moved into its first warehouse in 2007 on the North side of Brisbane. We have continued to grow in all aspects of the business with the most significant being 3 rd party warehouse solutions. BFC Australia has continued to expand its presence in the Brisbane market by providing a level of service second to none. This has been made possible by keeping with the core beliefs of BFC Australia. Together, these points form the basis from which our team stands and from that comes an unshakable strength and determination in doing what we do best.